Every building on a college or university campus is a recruiting tool. Attractive and functional facilities help schools achieve their enrollment goals and impact their standing in the surrounding community. Curb appeal matters. 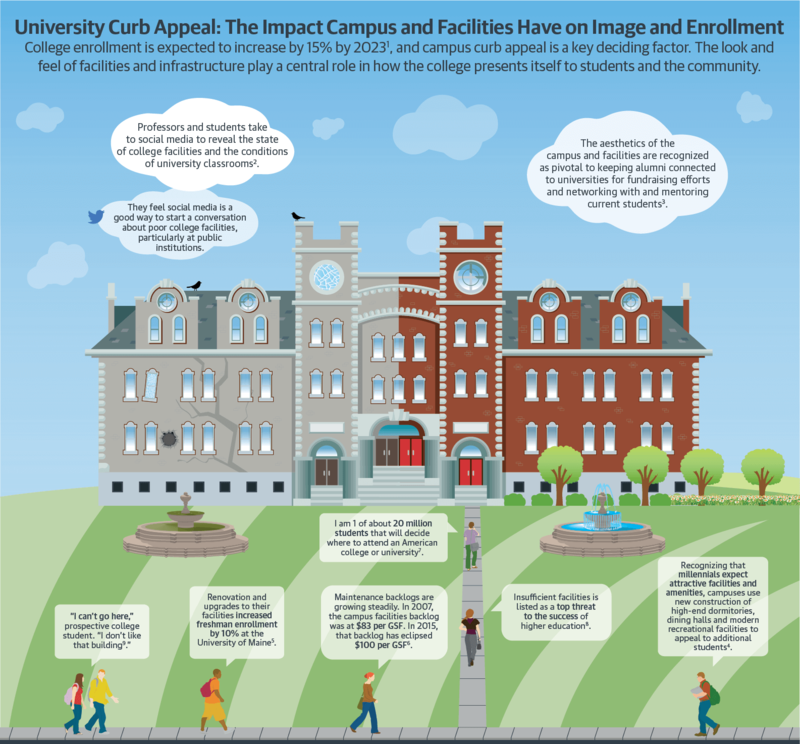 View this infographic for data about how facilities impact enrollment.